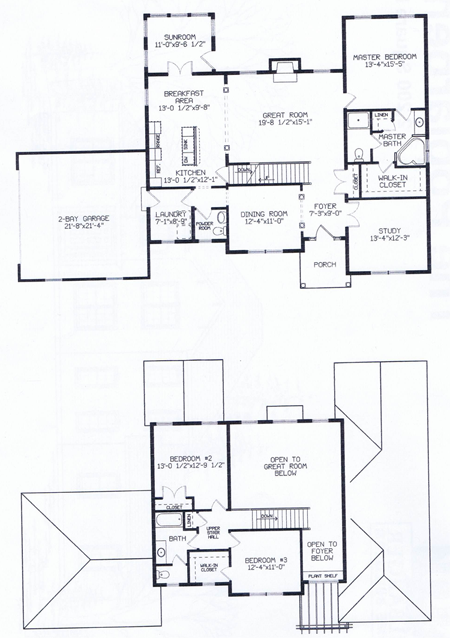 The first floor has a foyer, formal dining room, powder room, laundry room and study. The kitchen and breakfast area open to a great room which is open to the second floor. There is also a sunroom off of the breakfast area. The master suite includes a walk-in closet, tub and shower. The second floor has two bedrooms, one with a walk-in closet. There is a full bath. We realize you want a home that reflects your families needs. Your Kilbarger home design will be custom built, board by board right on your lot using craftsmanship combined with the latest in technological improvements. The materials and pride are all parts of our promise to build the exact dream home you have in mind.